The members of the group tasked with exploring all options for the Michelin site in Dundee and its workforce have been announced by Economy Secretary Derek Mackay. The Michelin Action Group will meet for the first time in Dundee on Monday, November 12. Scottish Enterprise chief executive Steve Dunlop and Dundee City Council leader John Alexander will lead the group. 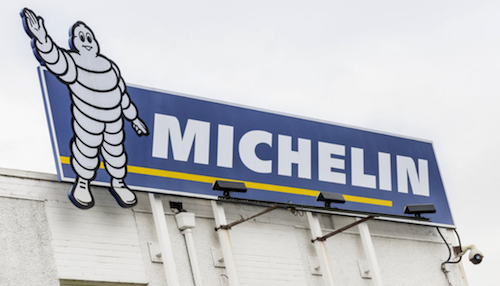 Michelin trades union members will represent the workforce alongside plant manager John Reid. Leading business experts will also join the action group, providing vital industry knowledge. “Despite confirming they intend to close the plant in 2020, Michelin have agreed to look in detail at any proposals for the future of the plant that are brought forward by the action group or trades unions, following the Economy Secretary’s intervention,” said the Scottish Government. Mackay said: “I have been clear that the Scottish Government will leave no stone unturned in our efforts to find a viable and sustainable future for the plant and its highly skilled workforce. Alexander said: “It is imperative that the membership of the Action Group reflects stakeholders, experience and those with an ability to find solutions. I’m delighted to say that I believe those identified do just that. Advice will also be sought from a range of manufacturing leaders including Dr Hamid Mughal, Co-Chair of the Strategic Leadership Group of the National Manufacturing Institute for Scotland. Membership of the group will develop as the work is undertaken with all relevant Ministers playing a full part.